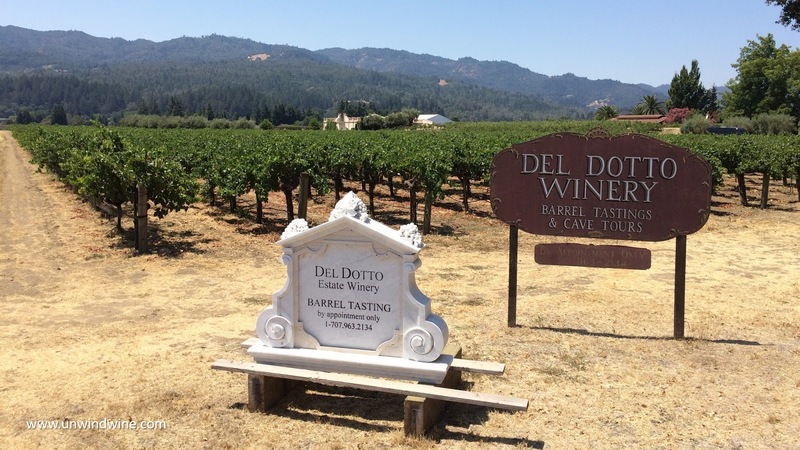 We've been fans of Del Dotto Vineyards and their Estate wines since the early nineties dating back to their inaugural release in 1993. 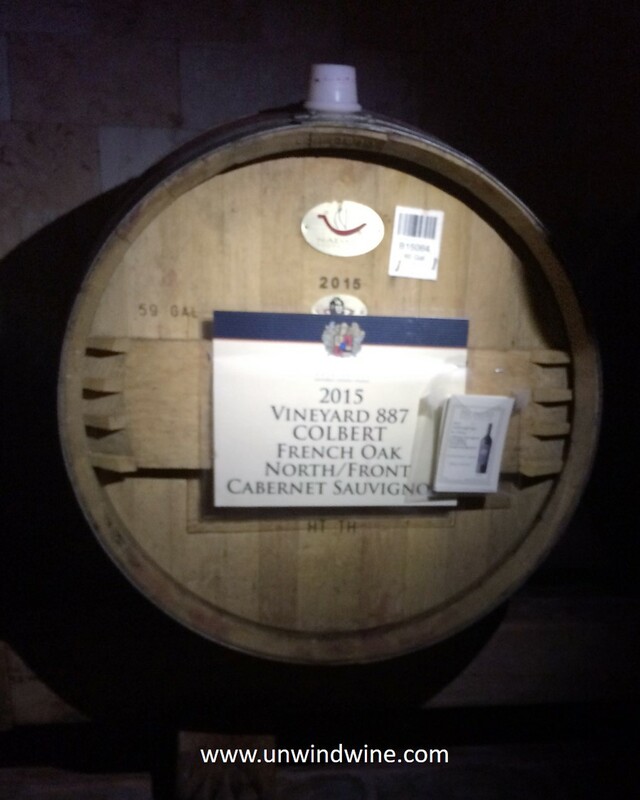 We still hold a vertical collection of their Napa Valley Cabernet Sauvignon dating back to those earliest vintages. 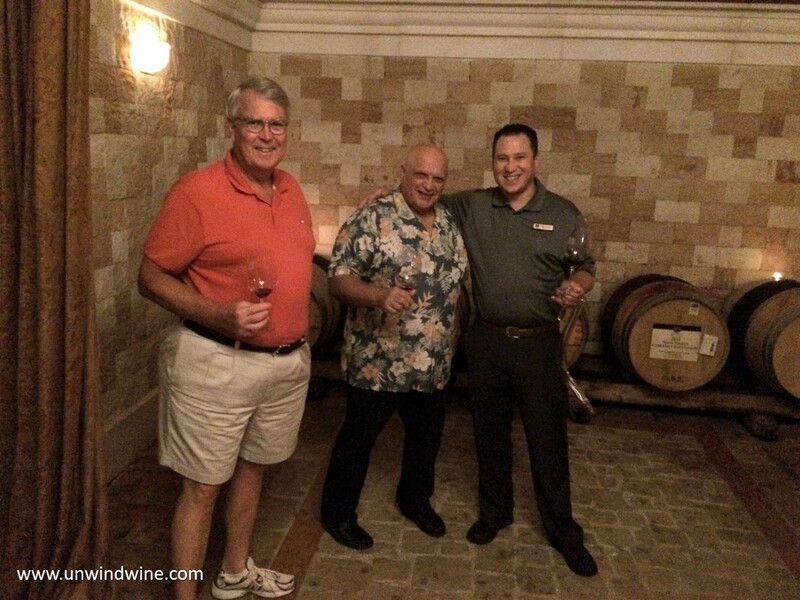 We visited and featured Del Dotto during several of our Napa Valley Wine Experiences in 1998 through 2008. In recent years we focused on targeting specific appellations in the Napa Valley region, notably the Mountain appellations: Howell Mtn, Mt Veeder, Spring Mtn, Diamond Mtn and Pritchard Hill. 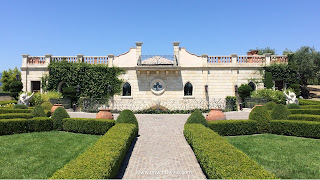 So it is that returning to Napa Valley, we saved Del Dotto for our last producer visit private tasting to wind up this year's Sonoma/NapaValley Wine Experience tour. 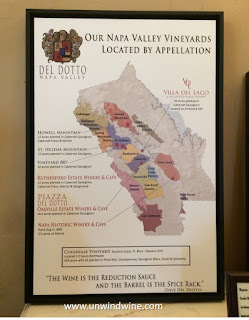 Remarkably, Del Dotto have expanded their operations significantly (shown on their vineyards and Napa appellations map, right) since those early days and now have properties and Vineyards up on the Sonoma Coast in northwestern Sonoma County, where they source their Pinot Noir and Chardonnays, on Howell Mtn, St. Helena Mtn, and Pritchard Hill, as well as their Napa Valley Rutherford, St Helena and Oakville valley floor locations. They've opened Villa Del Lago up on Pritchard Hill overlooking the southeast Napa Valley, featuring ultra premium wines, and soon will be opening Piazza Del Dotto Winery and Caves in Oakville, which will eventually feature a culinary experience as well. 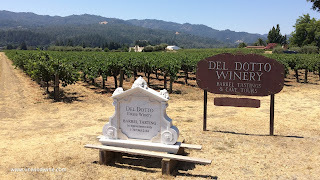 So, on our just completed 'Pour Boys' Sonoma/NapaValley Wine Experience we revisited or visited some of our old favorite producers in Napa Valley including Del Dotto. 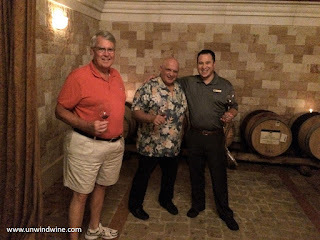 This was the first time we've done a formal cave tour and barrel tasting since they built their new magnificent cave facility on the site of the Estate on Hwy 29 at Zinfandel Lane, just south of St Helena (shown left). 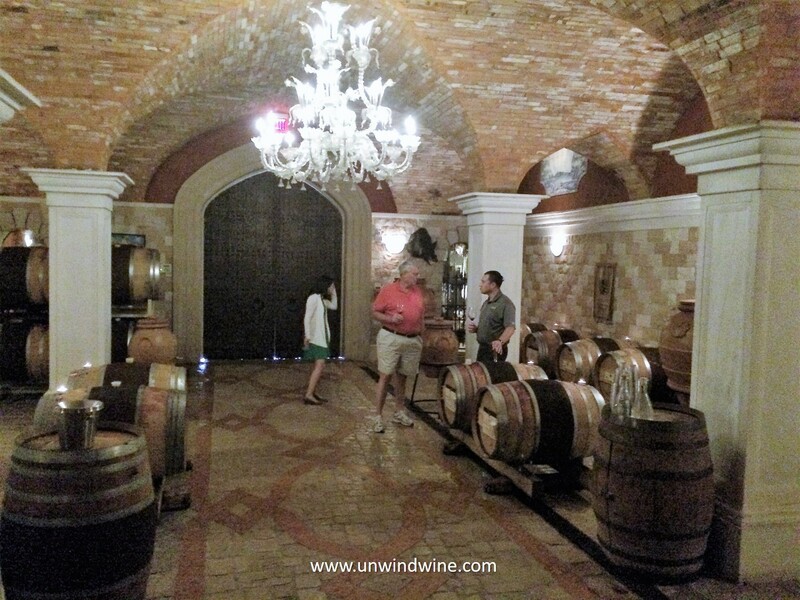 I've written before that the Del Dotto Cave Experience and Barrel Tasting is one of the most spectacular experiences in Napa Valley. 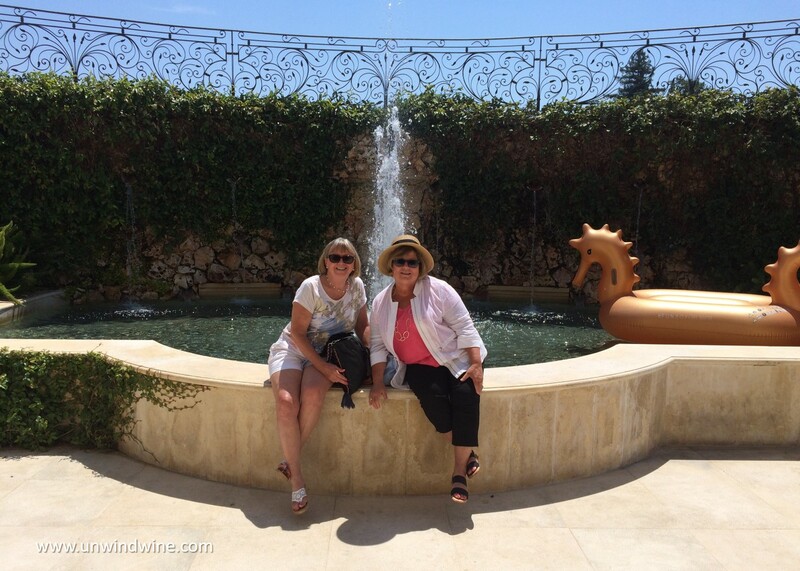 This has been acknowledged by many to whom I recommended such, that it was the highlight of their Napa trip. 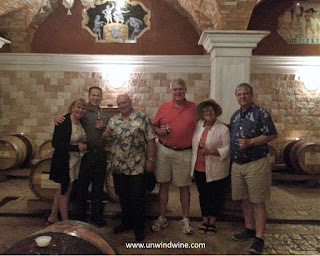 Indeed, our group were reserved in their expectations in indulging me to visit this long-time favorite producer, but in the end, they all agreed it was a spectacular tasting experience. 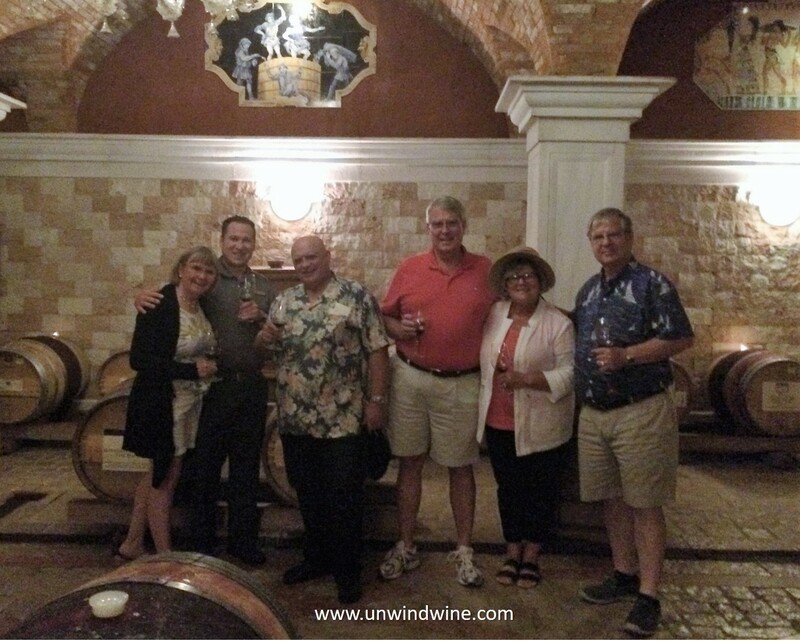 Of course, those in our wine group are all very familiar with Del Dotto wines, having tasting them many times from our cellar. This immersive experience exceeded all expectations in the tour and tasting of their expanding portfolio of labels, as well as revisiting many old favorites. 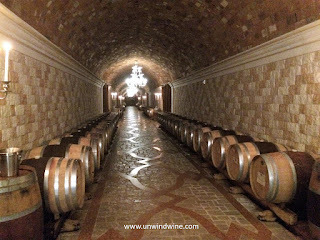 I am not aware of any other wine producer or wine tour that features and highlights barrel tastings from their wine caves to the extent that Del Dotto does. 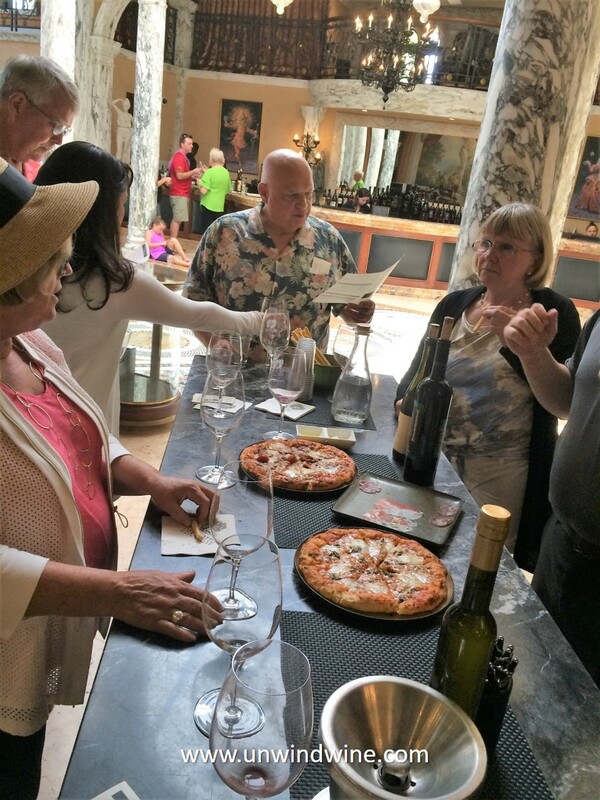 Its great fun as well as a great tasting adventure, especially for discriminating wine aficionados (wine geeks). As they have done since the early days, they focus much on their cooperage (barrels) and their effects on their wines. Del Dotto craft selective wines specifically based on special barrel oak selections in their Connoisseurs' Series of special labels. In the example shown at the left, this is a Cabernet Sauvignon featuring a vineyard designated (887), specific (vineyard) block (North/Front), special Cobert French Oak barrel select label. They also now offer a selection of Bordeaux varietal blends including their 'David' Proprietary Blend from two different appellations, and their 'Cave Blend' label.